JLS Travel Scholarship recipient Ernest Theurer working on site in India. 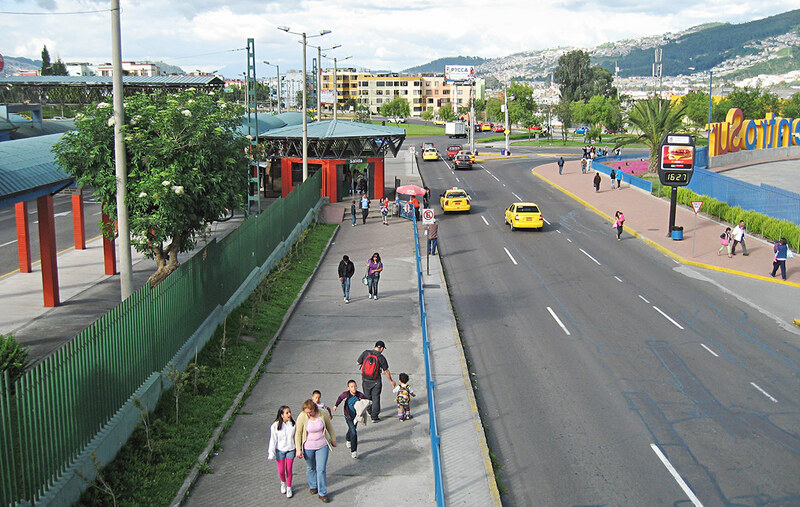 In 1970, eager to view these urban planning questions through an academic lens, Lifchez left his post at Columbia and entered Berkeley as a graduate student in the Department of City and Regional Planning. He joined the CED faculty in 1973 and the college has been his academic home ever since. 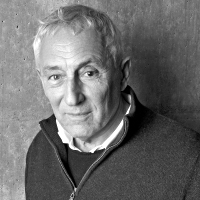 Over the course of his Berkeley career, Lifchez has taught over 100 classes in architectural history, design, and creative writing, and acted as advisor to both graduate and undergraduate students. He has authored or edited more than 60 articles, essays, and books, including the American Book Award-nominated, Design for Independent Living: the Environment and Physically Disabled People (Whitney Library of Design, 1979), a pathbreaking work that signaled the entry of the architecture profession into the world of design for disabled access. He also served the university and CED on innumerable boards, committees, and juries, and received several honors and awards, including the Berkeley Citation (2007) and the Association of the Collegiate Schools of Architecture Distinguished Professor Award (2002). 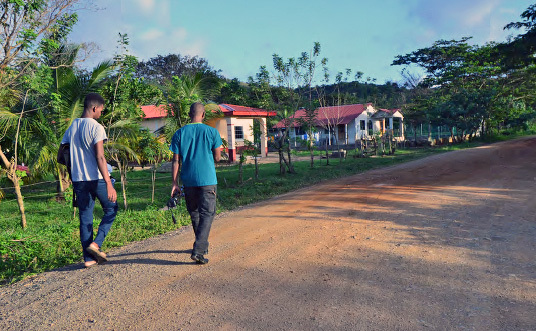 Alfredo Norales and JLS Travel Scholarship recipient Rajan Hoyle walking in Mañali, Honduras. Beyond these substantial credentials, however, Lifchez’s commitment to affording undergraduate environmental design students the chance to gain valuable experience in the worlds of practice — by generously providing the means and encouragement to become active agents as both professionals and lay people, especially in public service-oriented work — may be his most meaningful accomplishment. And one for which UC Berkeley, the College of Environmental Design, and the environmental design professions are grateful. 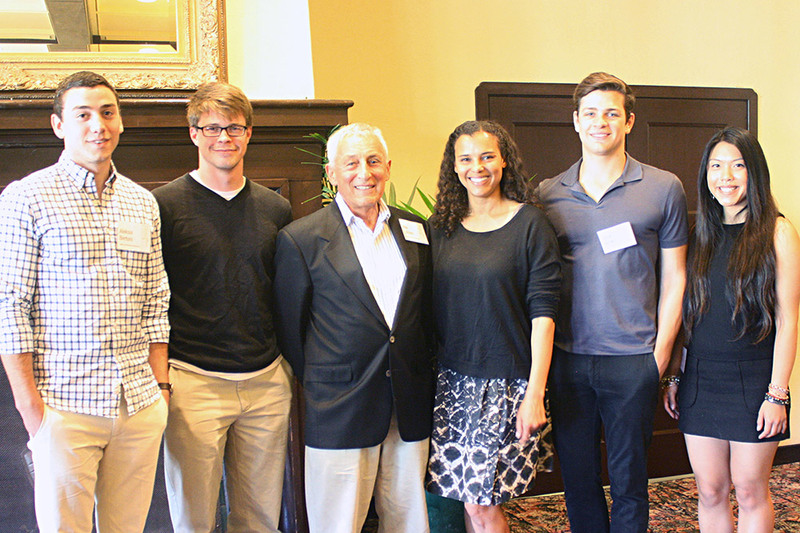 In 2015, Lifchez established the Judith Lee Stronach Professional Experience Awards that provide financial support to help CED undergraduate urban studies students offset expenses for internships either within the U.S. or abroad. These awards allow DCRP undergraduates to integrate theory and practice, as well as values and community involvement, within the context of a public or nonprofit professional practice setting where they also gain career-related experience. Lifchez also established and funded the annual Judith Lee Stronach Undergraduate Travel Scholarship, open to undergraduates in all departments at CED, to encourage the study of new places, cultures, and peoples, as well as commitment to social responsibility.  Lifchez is also the founder and sponsor of the Berkeley Undergraduate Prize for Architectural Design Excellence, established in 1998 through a generous gift of Judith Lee Stronach. A yearly international essay competition, the Berkeley Prize aims to show architects-in-training from around the world that design can and does play a major role in the social, cultural, and psychological life of both the individual and society at large. 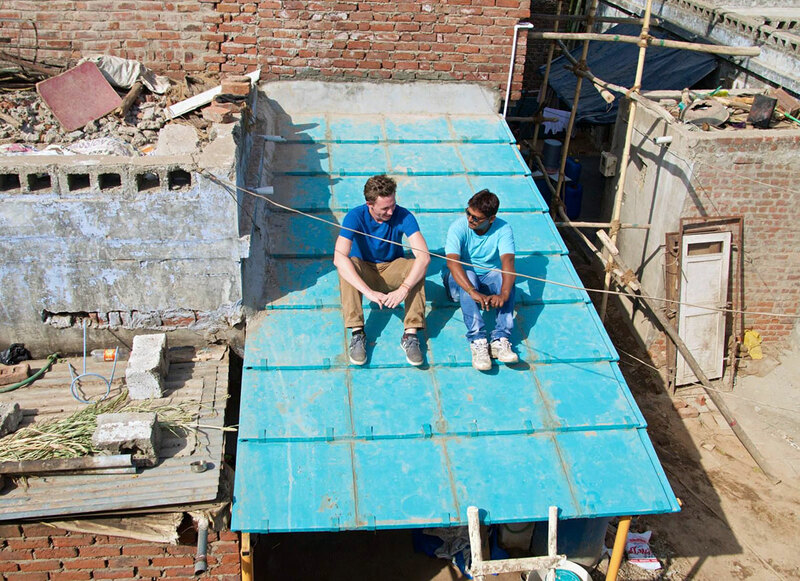 Semifinalists may compete for the Berkeley Prize Travel Fellowship, which enables the opportunity to travel to an architecturally-significant destination, preferably to participate in a hands-on, service-oriented situation. 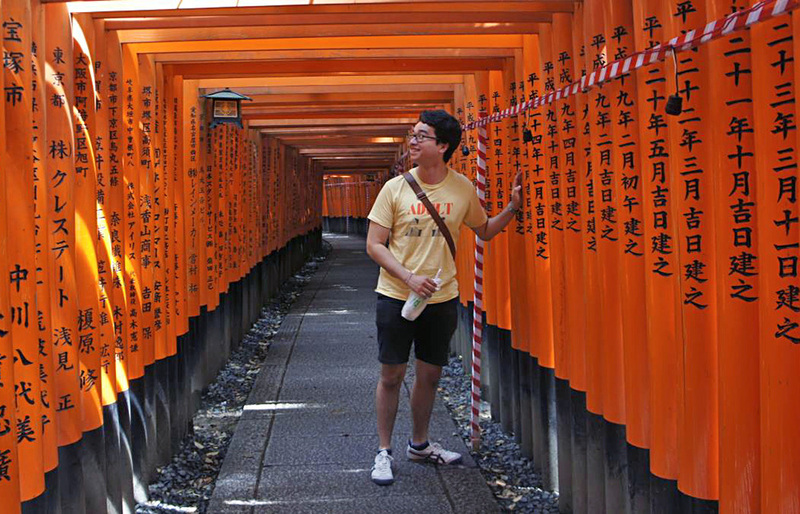 JLS Travel Scholarship recipient Ken Farris worked in Japan with architecture disaster relief non-profit Archi-Aid. In addition to funding environmental design programs, Lifchez also sponsors the Judith Lee Stronach Memorial Lectures on the Teaching of Poetry and the Judith Lee Stronach Baccalaureate Prize (Letters and Science). With such a long tenure at CED, it is natural to wonder what keeps Lifchez inspired to continue to teach and fund student scholarships. “The value of support is that it helps stabilize our communities, stabilize our society, and provides opportunities for the young,” he replies. He follows by showing a report he recently received from one of his prize recipients, Rajan Hoyle, who completed a community project in Honduras. “Nothing is more pleasing to me than these reports,” he says with a clear sense of pride. 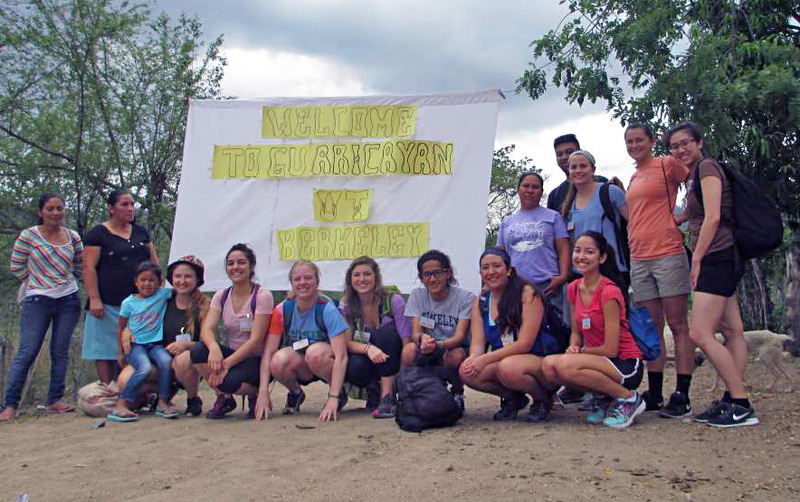 JLS Travel Scholarship recipient Erin Voss (red shirt) with fellow Berkeley students in Honduras to help build an adobe Caja Rural.